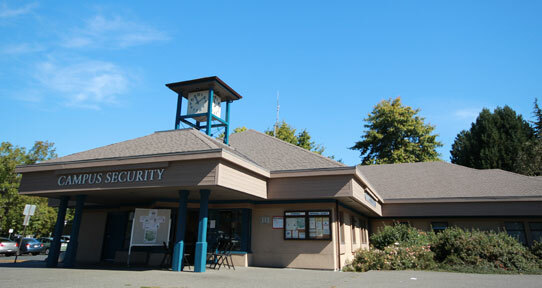 The Campus Security Building on the UVic campus. Campus Security provides on-campus first aid response 24/7 to faculty, staff, students and visitors. In the event of a medical emergency, call 911 (or 9-911) for emergency medical response. Be sure to tell them your exact location (including building and room number). In addition, contact Campus Security at 250-721-7599 as they are usually the first to respond and they will work cooperatively with ambulance and fire crews.